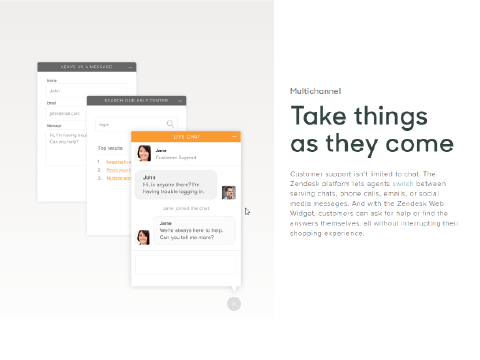 Zendesk Chat is chat software for your webshop with which your customers can ask you questions. This removes a barrier of communication, does not disturb and has to potential to boost your conversion rate. Zendesk Chat increases your customer engagement by allowing them to chat to you. 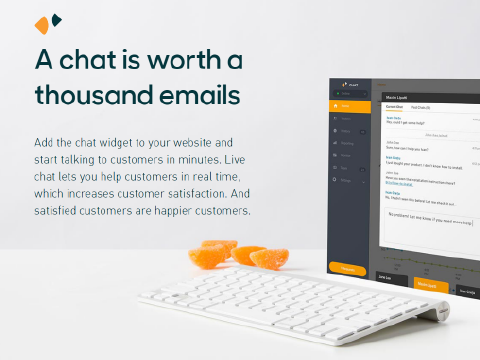 Zendesk Chat is very appropriate for improving your customer interaction, it increases the time they spend in your webshop and increases your conversion rate. 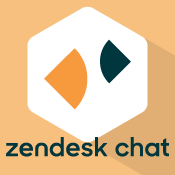 Why use the Zendesk Chat app? During the chat automatic completion of customer information in the Zendesk Chat chat module. This provides a low barrier of entry for starting a chat conversation. Recent order history and current products in the shopping basket are shown in the Zendesk Chat dashboard (under ‘user info’). This way you can provide an even more personalized service and increase your conversion. 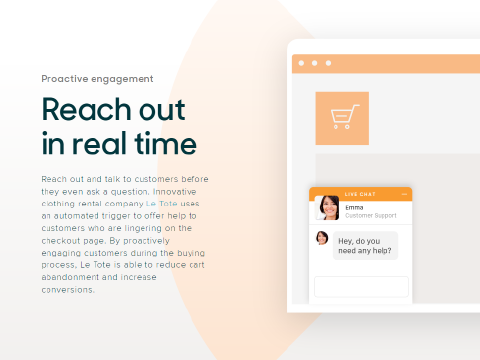 Access to a user-friendly dashboard with saved chat history, message templates, visitor priority, Q&A and a smart responder. This app integrates Lightspeed data in the Zendesk Chat dashboard. Installation takes only a few seconds. How much does the Zendesk Chat app cost? For the Zendesk Chat app you only pay £3,50 per month. For this money we will provide a seamless and real-time integration of your Lightspeed webshop with your Zendesk Chat account.